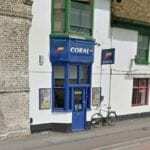 Here you can find lots of local information about the Coral betting shop which is located on Newmarket Road in Cambridge. We have details on the opening times, latest bonuses and also a map which shows where the shop is. 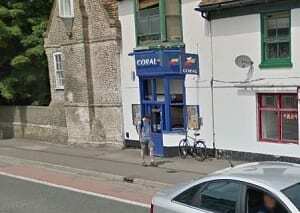 Below is a map showing the location of this Coral shop in Cambridge which is at 529 Newmarket Road. If you are planning on visiting the bookmakers to place a bet, you can easily see it here on the map. We have collected some photos of the shop itself which you can see below if you are interested in finding out where it is on the high street. There are also plenty of ways to play online if you are interested in things like tennis betting or other sports. We don’t have a full list of opening hours for this particular shop but it is open 7 days a week at various times. It is probably best to call the branch itself to find out when it is open. 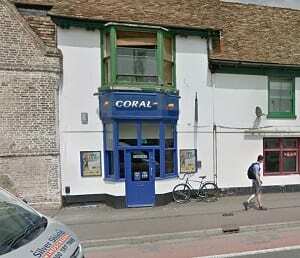 Visit this page to see more about the Coral bookmakers in various UK locations. 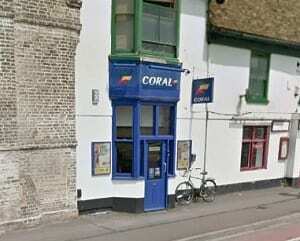 Coral Racing Ltd is a licensed Betting Shop located at 529A Newmarket Road in CAMBRIDGE CB5 8PA. 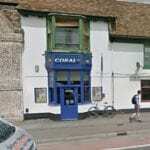 The license status: Grant by Cambridge City Council as at 05/01/2011. Cambridge is home to the world-renowned University of Cambridge, which was founded in 1209. The university includes King’s College Chapel, Cavendish Laboratory, and the Cambridge University Library, one of the largest legal deposit libraries in the world. The city’s skyline is dominated by several college buildings, along with the spire of the Our Lady and the English Martyrs Church, the chimney of Addenbrooke’s Hospital and St John’s College Chapel tower. Anglia Ruskin University, evolved from the Cambridge School of Art and the Cambridgeshire College of Arts and Technology, also has its main campus in the city. The city is home to Cambridge United F.C., who play at the Abbey Stadium. Formed in 1912, as Abbey United, they were elected to the Football League in 1970 and reached the Football League Second Division in 1978, although a serious decline in them in the mid-1980s saw them drop back down to the Football League Fourth Division and almost go out of business. Success returned to the club in the early 1990s when they won two successive promotions and reached the FA Cup quarter-finals in both of those seasons, and in 1992 they came close to becoming the first English team to win three successive Football League promotions which would have taken them into the newly created FA Premier League. But they were beaten in the playoffs and another decline set in, which was completed in 2005 when they were relegated from the Football League and for the second time in 20 years narrowly avoided going out of business. After nine years of non-league football they returned to the Football League in 2014 by winning the Conference National playoffs. With Coral you can bet on the week’s current matches either by visiting a shop or online through the website or app. As well as being the home of the Cambridge Rules in football, Parker’s Piece was used for first-class cricket matches from 1817 to 1864. The University of Cambridge’s Cricket ground, Fenner’s, is located in the city and is one of the home grounds for minor counties team Cambridgeshire CCC. Check out our page on cricket betting here if you are looking to place bets on the latest matches.